Prime Minister of the Russian Federation Dmitry Medvedev has congratulated Novruz Mammadov on his appointment as Prime Minister of Azerbaijan, said a message posted on the website of the Russian government. "Russia and Azerbaijan are bound by strategic partnership relations, based on the principles of equality of rights, respect for each other's interests and good neighborliness. 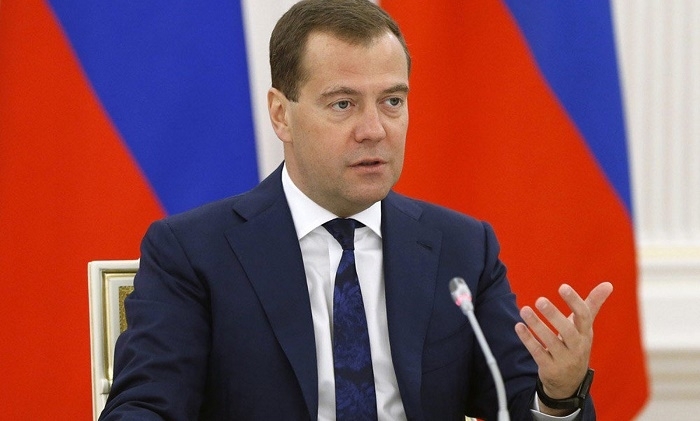 I am convinced that the further strengthening of bilateral trade and economic cooperation, the implementation of major joint projects in the transport, oil and gas, agro-industrial areas, in the fields of high technology, education and culture fully meet the long-term interests of our countries," Medvedev said in a congratulatory letter.